Our project with Trafigura Foundation has been under wraps since early June, but we are glad to finally feature the videos we’ve shot and edited. Though we still have another project underway, the first two videos are ready to publish. Trafigura Foundation sponsors partner organisations around the world in carrying out and strengthening programmes in three areas of focus: sustainable development, education & integration, and health. They do not just provide financial assistance, but also help the chosen organization reach their goals. They train and advise staff who are locally involved and know the project best. Out first shoot was in Cebu. We flew in late at night and it was the first time we will meet Eléonore, communications and programme manager for Trafigura. The project we shot was called Eau and Vie (French for Water and Life), and under it, is another program called Water and Life, where staff runs programs for the community about environment, sanitation, hygiene and fire prevention. 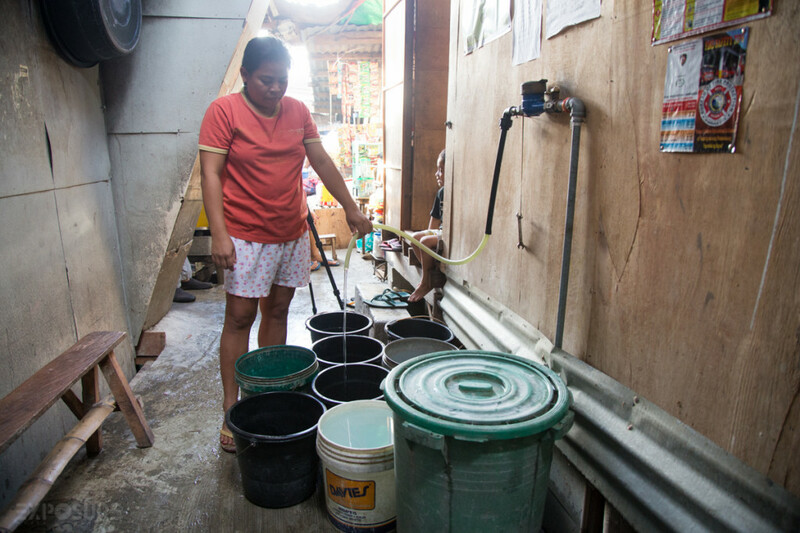 In a slum area in Cebu, access to clean water is not readily available. Residents have to queue up at a neighborhood water pump to fetch water. Sometimes, the line is so long that most residents end up being late for school/work or not bathing at all. No private bathroom, all washing is done in the middle of the way between houses. Eau and Vie helps distribute water by installing pipes at 1/3 the price with everyday collections based on the principles of micro-credit. Water being redistributed outside Jennifer’s house, where she keeps an eye on the faucet but at the same time benefiting from the water. Tubig Pag-asa is the social business created by Eau and Vie – its goal is to build and maintain the water network and to collect payments. The team of Tubig Pag-Asa is composed of Filipinos and collectors from the areas where the project is implemented. 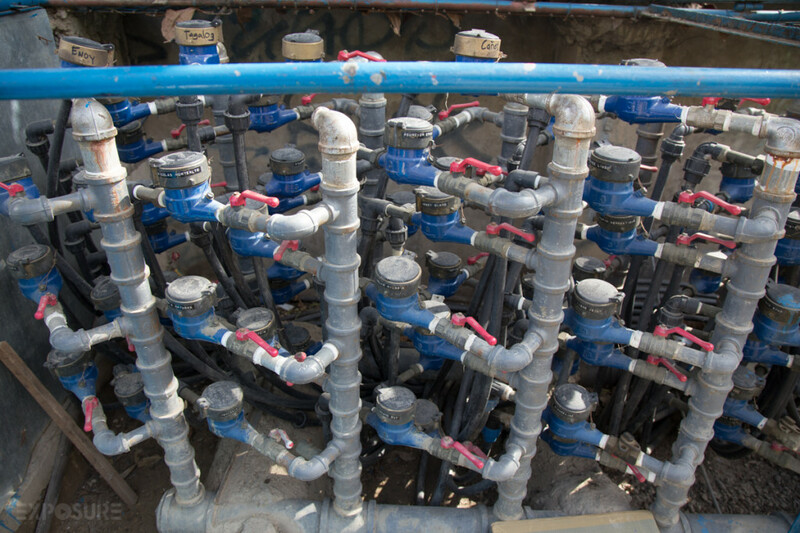 Lots of pipes that belong to houses; monitored and fees are collected everyday. Eau & Vie from Exposure Media Productions on Vimeo. Growing up with abundant water supply at home and almost everywhere, it’s eye opening to be in the middle of the slums and hard to imagine how I’d cope if I had to take a bath right outside my house. As I’ve been through water shortage during typhoons, I can’t imagine going through no immediate access to water on a daily basis. 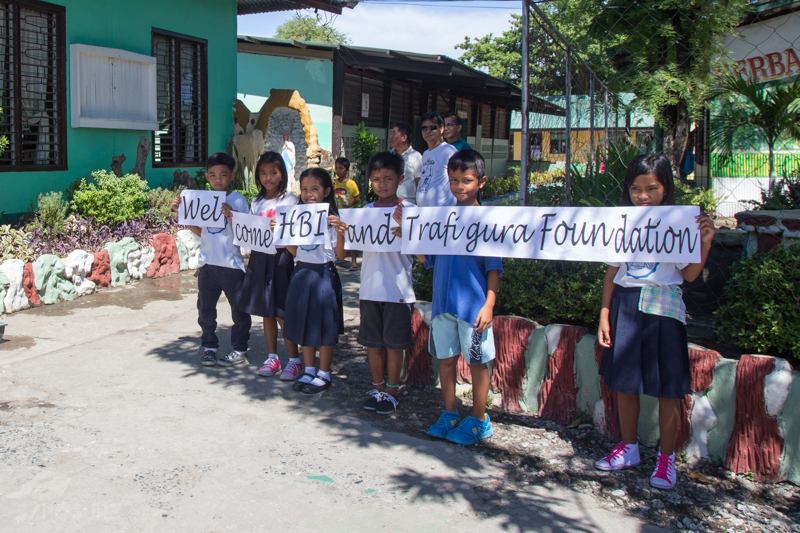 Our second shoot was a new program that Trafigura teamed up with HBI (Haligi ng Bata, Philippines) in La Union. 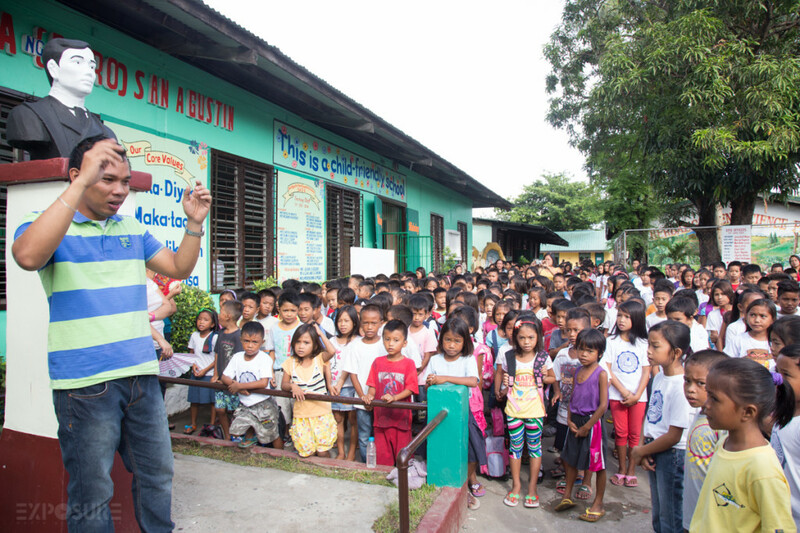 HBI is a Philippine non-government organization that provides community & school-based development projects along the lines of education, health, and skills training. The beneficiary is San Agustin School in San Fernando, La Union as well as the community nearby whose main source of income is fishing. 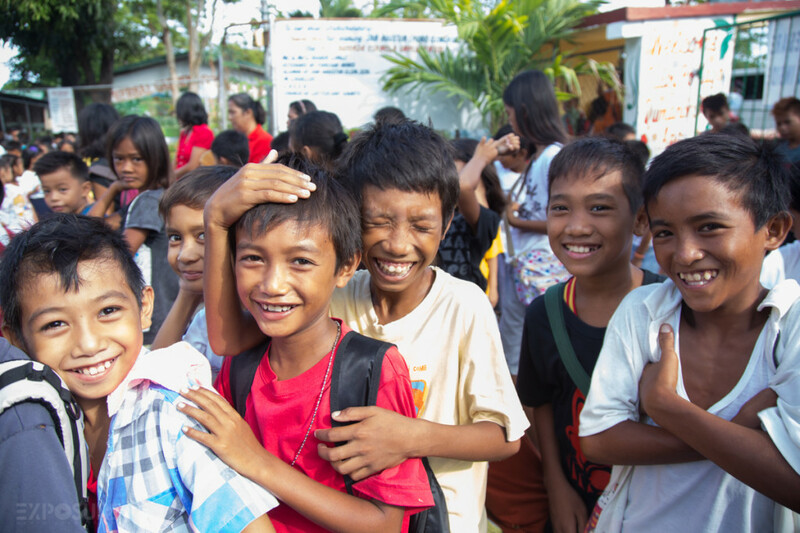 The project aims to improve the health, education and livelihood of 600 marginalized and underserved community members and 805 school children in San Agustin. Flag Ceremony in San Agustin School. Empower and unite the school (its teachers and volunteers) and community (its members and leaders). The project has already started January 2014, and we went there to shoot end of May. 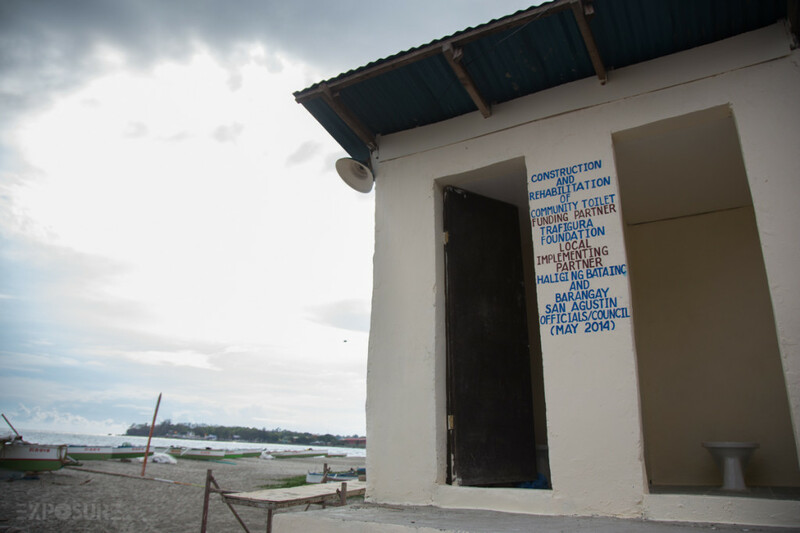 Though this was only a few months after partnership, HBI was already able to provide toilets in the kids’ classrooms so they need not go out and use the public toilet. 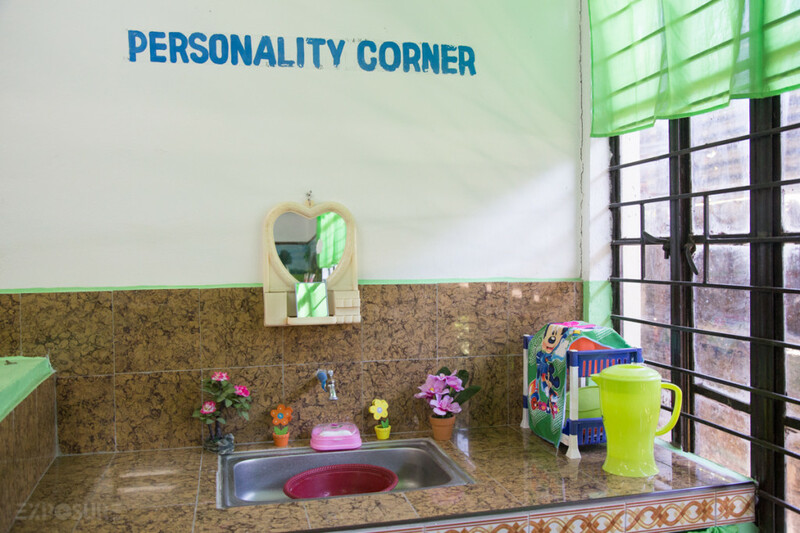 Personality Corner in a classroom, where each classroom have their own sink and toilet now. 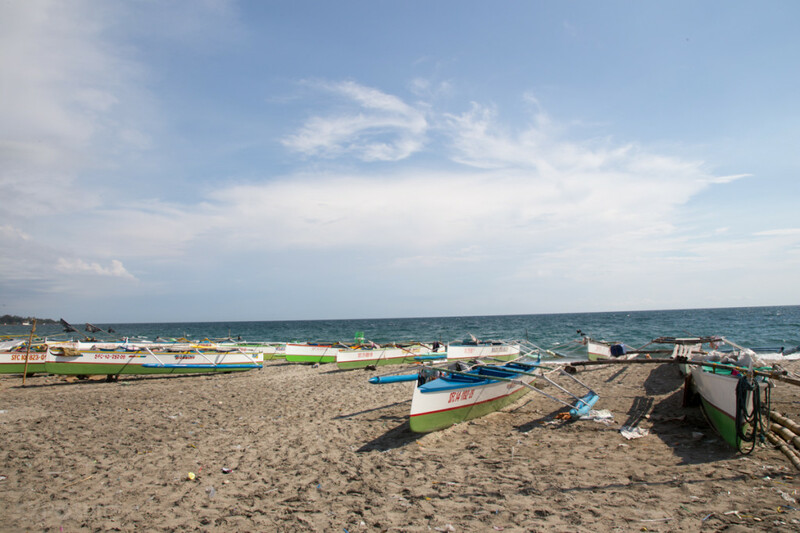 Not just focusing on the school, HBI have also focused on the community who do not have skills to have a livelihood, instead of just relying on fishing as it’s the only means of making money they know as they were living close to the sea. Public toilet for the community. 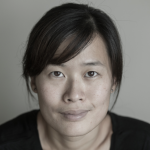 HBI from Exposure Media Productions on Vimeo. During our shoot in the school, HBI distributed notebooks, pencils and writing pads to the students, and it’s nice to see the joy in their faces! As a local myself, who is admittedly a bit sheltered, I took it for granted these basic things like having a toilet, running water and simple things like owning pencils, pad paper and notebooks for school, to which means so much to the kids and their families in the project. 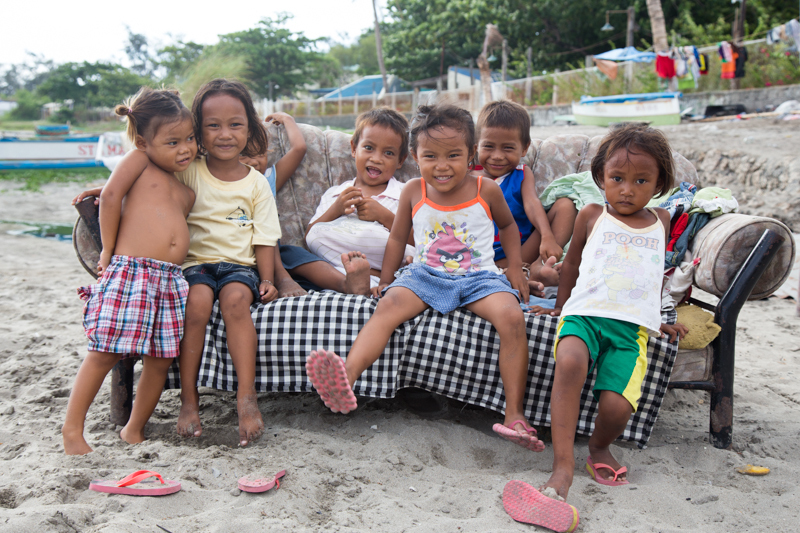 Kids lounging on a couch by the sea. It feels good that we are able to help tell the story of making a difference in other people’s lives.